Topics Include: Wild lose in another shootout Coaching resumes If the Wild could finish 1% more of their shots, how different is this season's record? Losing Dumba isn't exactly like losing Ovechkin, but it's something. Mailbag Questions! 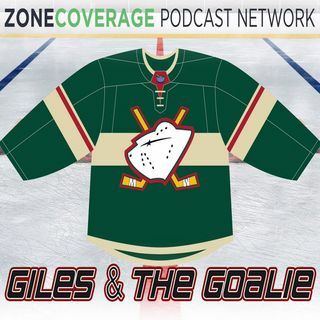 Quote of the week Kirill Watch Central Intelligence Minor League Jersey's A Zone Coverage Podcast Network Production Follow the Crew on Twitter: @BenRemington | @gilesferrell | @GatGWildPodcast Follow Zone Coverage: @ZoneCoverageMN ... See More Listen to the show on Libsyn, iTunes, Stitcher, SoundCloud, Google Play, iHeart Radio, and YouTube. Follow us on Facebook, Twitter, and Instagram.